Aaron Rosenberg is a novelist and game designer living in New York City. He has also taught college-level English and worked in corporate graphics and book publishing. 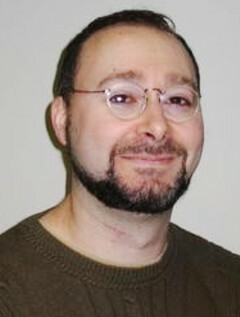 Rosenberg has written novels for a number of series, including Star Trek, Starcraft, Warcraft, Exalted, and Warhammer. He also writes educational books, children's books, and role-playing games.